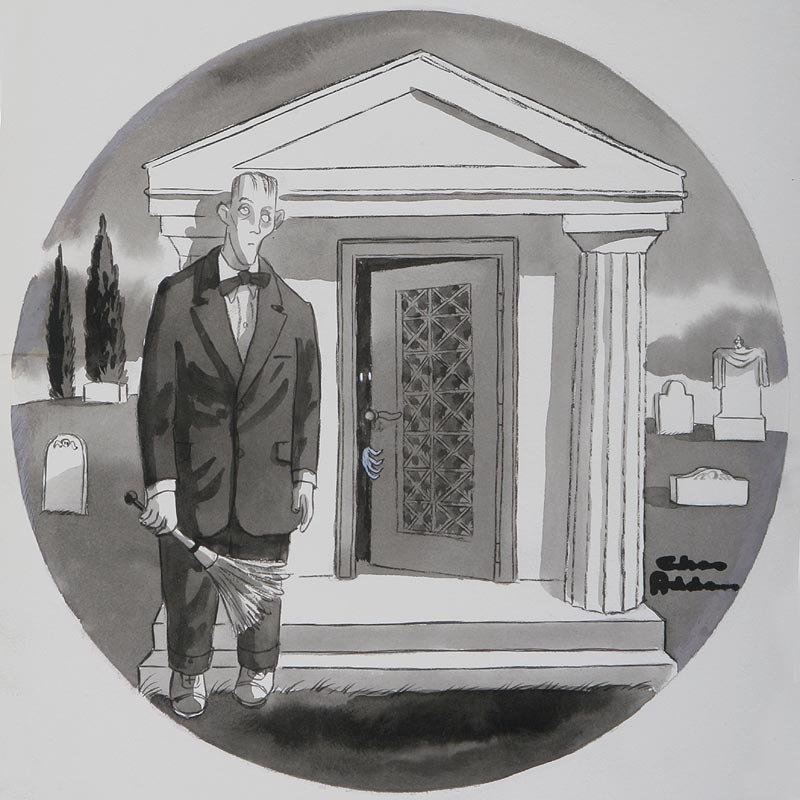 It's unknown exactly when Lurch first appeared in Charles Addams' New Yorker cartoons, but it may have been as early as the very first Addams Family one in 1938. Some people see Lurch under that beard and I'm not going to argue with them. 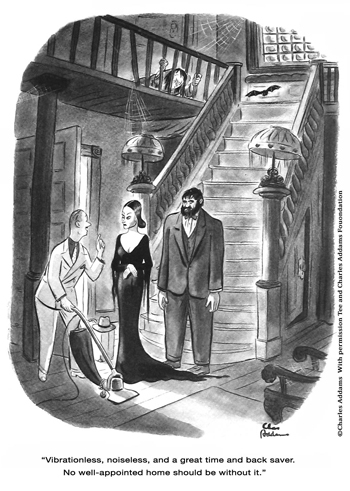 The Addams Family developed slowly over a period of years rather than springing fully formed from Addams' head, so words like "continuity" don't apply. Whether or not that's Lurch in the first strip, the character didn't reach his definitive look until later. When he did, he was totally inspired by Universal's version of the Frankenstein Monster. Another Universal inspiration (including a Son of Frankenstein-like vest), the monster appeared in a MGM short highlighting the wonders of 3D film. The awesome Frankensteinia blog (whom I suspect I'll lean heavily on this month) tells you everything you want to know about this movie, but the short version is that it was the third in a series of 3D shorts and the first with any kind of actual plot. 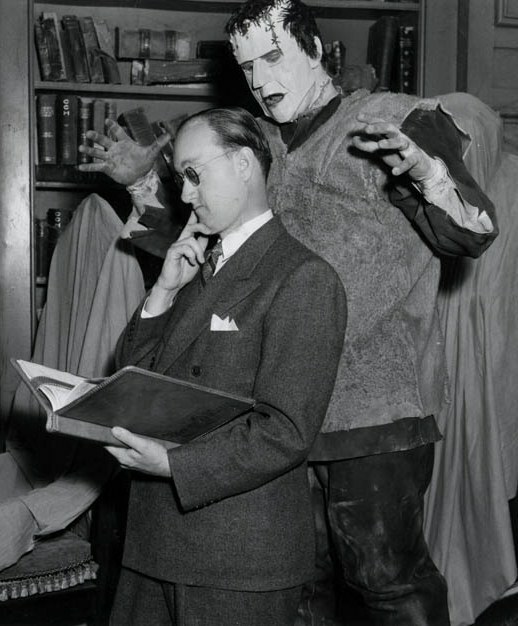 Since horror movies were so popular, the producer/star of the shorts, Pete Smith, chose a haunted house theme with Frank as the major "threat." Mostly the film was a light-hearted showcase for 3D effects with witches, knights, and racial stereotypes poking and throwing spiders and skulls and whatnot at the screen.